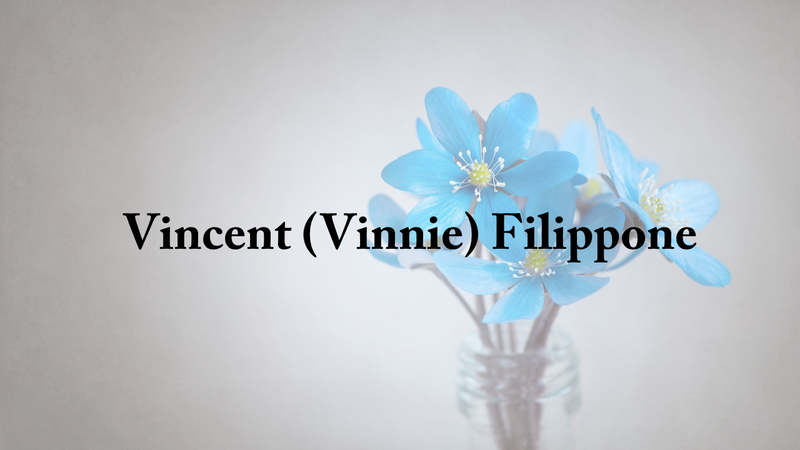 Vincent (Vinnie) Filippone, of Cullman, passed away on Monday, March 25, 2019 at the age of 64. Mr. Filippone unconditionally loved and adored his wife, children and grandchildren and they all loved him and looked up to him. He was an employee and warehouse manager at Tyson in Hanceville, formerly American Proteins, for almost 25 years, and loved his job. He could light up a room with his smile and never met a stranger. He was a true inspiration to everyone that knew him. People loved being around him and he will be missed by everyone that knew him. He is preceded in death by his parents: Frank and Charmian Hickman Filippone; brother, Frank Filippone and sister, Sandy Ballone. He leaves to cherish his memory his wife, Deborah Fisher Filippone; sons Matthew Fisher, Alexander and Fiance’ Katie Fisher, Vincent E. and Ashley Filippone, Jr. and Franklin R. and Fiance’ Candi Filippone; daughter, Sharon and Tommy Gifford; sister Mary Ann and Bob Chriss; aunt, Mary Ann Mondo; 9 grandchildren and was expecting his first great grandchild. No services are scheduled at this time. Online condolences and special memories can be left for the family at www.mossservicefh.com.